Size: 30mm x 30mm (1.18 x 1.18 inches). Pins are reusable and durable, providing longtime use. Applied to sofa, beds, display board, drum, craftwork, poster as decorations and reinforcement. Ships from Hong Kong. 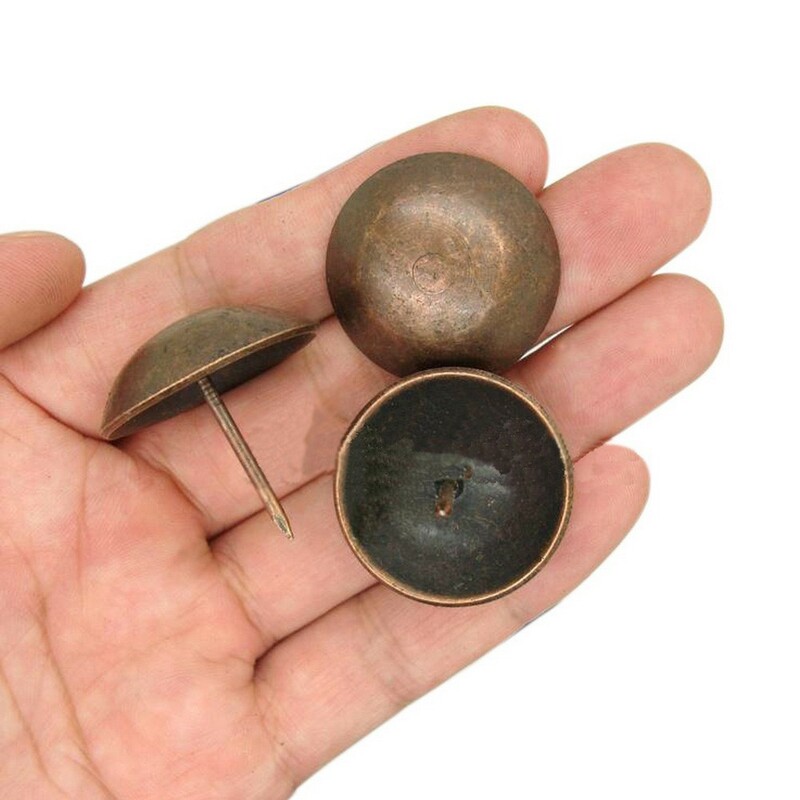 The thumb tacks are often applied to sofa, beds, display board, drum, craftwork, poster as decorations and reinforcement, they can also help to enrich the details of furniture. These upholstery push pins are made of hand-forged iron, which is sturdy and durable. Notice: pick up nails with pliers before hammering tacks in place, try not to hammer with bare hands, in case of hurting yourself or bending shank. WARNING: CHOKING HAZARD -- Small parts. Not for children under 3 yrs.